• Build-up of grease, debris or foreign objects in the sewer lateral or District sewer main. • Partial or complete blockage caused by tree root intrusion into sewer pipes. • Sewer line collapse caused by old and deteriorated sewer pipes. 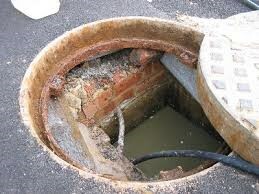 • Debris entering the sewer system from illegal pipe connections. Draintech can use Camera to help determine the cause of the blockages.